Piper Jaffray’s request to change the TIF for The Crossing: translation, please? Have liquor store discussions led to deeper understanding? Discussions among LocallyGrownNorthfield.org visitors blossom and fade, to resurface another time or never again. Representative Journalism Project stories have had a similar cycle so far, but I’d like to insert a step when conversation about a topic begins to slow. The goal of the step is to combine reader input and reported information into a single piece of writing. That way, a person can better see how the community and I worked together. I’m still figuring out what a final presentation of material would look like and how to make it as useful as possible, and I’m open to ideas from readers. The latest online discussions surrounding a proposed new municipal liquor store subsided about three weeks ago (There are three discussion threads. “Gleason offers land…” has had the most activity, followed by “EDA talks about trust…” and “Two EDA members score…“). The subject of whether and where to build a new liquor store is one that has surged intermittently among Northfielders since about 2005. In 2005, the City Council was considering renovating or moving the existing liquor store on the corner of Water and Fifth streets. In August, the Occupational Safety and Health Administration (OSHA) issued two citations to the city after inspecting the store. Those citations indicated an electrical panel was too difficult for workers to access and that the stairway connecting the main floor to a storage room below was dangerous. The existing City Council appears to favor building a new liquor store, but the council has struggled to decide where to build one. The decision was significantly delayed in 2007 when council members suspected Mayor J. Lee Lansing had pushed too hard in favor of putting the store in his son’s building at the south end of the downtown’s main drag. That building was one the family had operated as a hardware store for more than 30 years. Lansing has denied any wrongdoing. Even so, the City Council voted in December 2007 to ask Lansing to resign, but Lansing refused to step down or relinquish the key to his office in city hall. 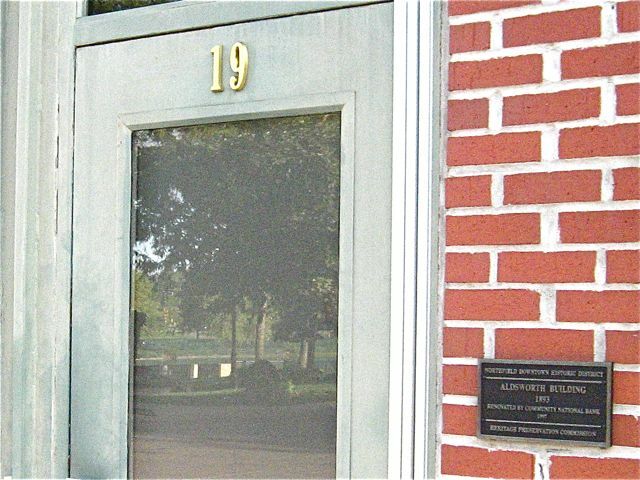 The mayor and the council continued to work together, but the council had the lock changed on the mayor’s office door to prevent him from working there, and tension mounted. 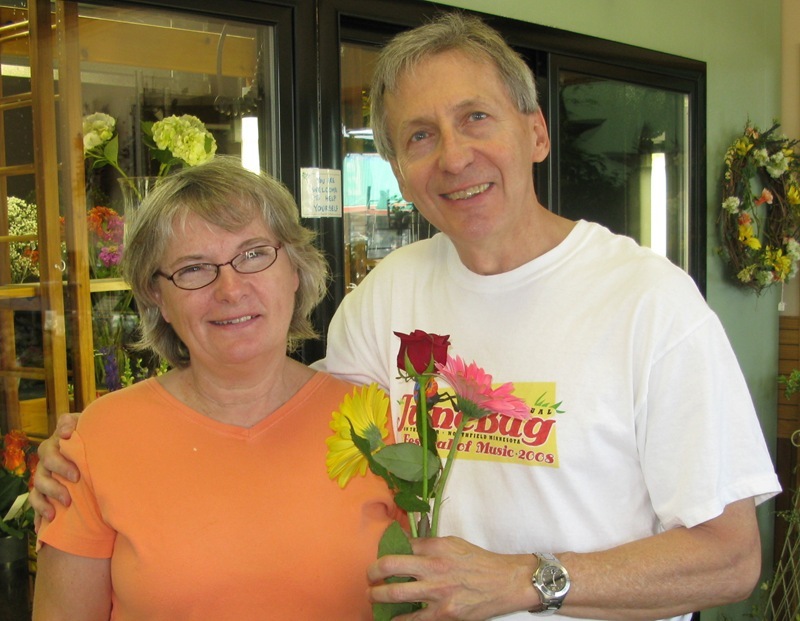 In April, the Lansing family’s hardware store closed, partly as a result of a separate legal matter, according to an article published in the Northfield News. David Lansing, the mayor’s son, had to move the store as “part of a settlement of a 2006 lawsuit that centered around the hardware store building,” according to the article. In October, the results of an investigation by Steve Betcher, the Goodhue County attorney, caused the mayor to face five charges of misconduct and two of maintaining a conflict of interest while in office. In January, new City Council members Betsey Buckheit (Ward 2), Rhonda Pownell (At Large, two-year seat) and Erica Zweifel (Ward 3) will fill three of the council’s six seats, to replace, respectively, Scott Davis, Noah Cashman and Arnie Nelson. Mary Rossing will be the new mayor. The looming turnover has caused some people to believe that decisions about the liquor store should fall to the new council. Other people believe the existing council will be able to make a sound decision by year’s end Jan.4*. Others still are discontented that the council is no longer considering repairing the old store, or getting out of the liquor business altogether. In November, members of the city’s staff attempted to come up with a way to help the City Council decide where to build a new liquor store. They asked City Council to come up with basic criteria. The city staff added a few more requirements to the list and then asked property owners to submit proposals. In December, the council began to consider five proposals that fell into the boundaries of the requests, and stopped considering two proposals that fell beyond those boundaries. 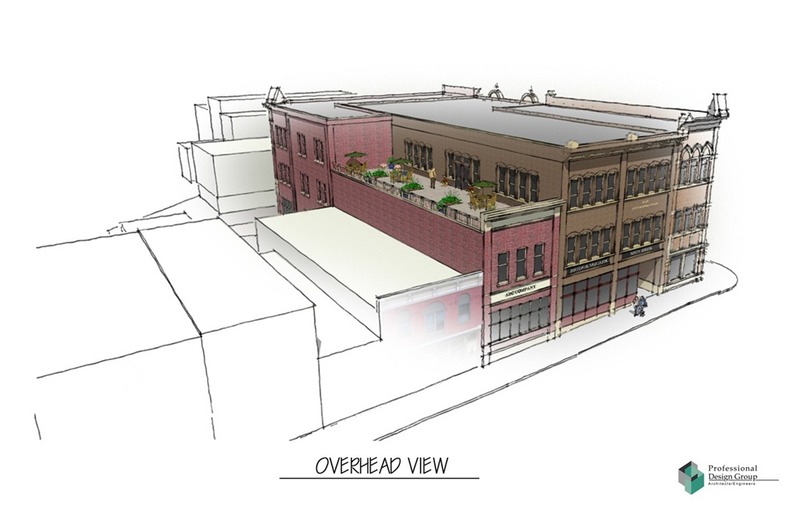 The new owners of the former Lansing hardware store on 618 Division St., who do business as the New Division Development Company, submitted one of the proposals the council is currently considering. In addition, the council is considering a proposal submitted by Mendota Homes, which would build a new liquor store on the same property as The Crossing residential building, owned by Mendota. That proposed site is on the southeast corner of Second Street and State Highway 3. The Q-Block Partners is another corporation that submitted a proposal. The partners would build a store on a property across the street from The Crossing. The Northfield Development Company is proposing to develop a parcel on 500 Water St. into a new store. That property contains the Just Food cooperative grocery store. Daryl Knudsen proposed to build a store at 717 South Water St., where a multiple-family house stands now. Despite the attempt to aid the council in its decision-making, the request for proposals process the spurred another wave of suspicion over whether someone in the city’s government was trying to be sneaky. Complications began when the city staff devised a score sheet in order to rate how closely each proposal met basic criteria. Four different groups of people, which staff identified as important players in the proposed new liquor store development, filled out the score sheets. Those groups were: Victor Summa and Steve Engler of the Economic Development Authority’s Infill Committee; city staff, represented by Joel Walinski, interim city administrator, Brian O’Connell, community development director and Steve DeLong, liquor store manager; Northfield Enterprise Center representatives; and Donnelly Development representatives. Northfielders debated the selection of people, the criteria on the score sheet and the ethics of rating the proposals before giving them to City Council. There was also debate over what parts of the proposals were private and what information could be revealed to the public. The city staff released the score sheet, with the names of the each of the seven property owners who submitted proposals, in November. Walinski asked one of the city’s attorneys to look up state laws on confidential information regarding requests for proposals. He then publicly posted a memo containing information about the law. Perhaps the most significant debate occurred when Walinski said there were seven proposals and then Summa and Engler said that they had filled out score sheets for only five proposals when it had come time to rate the documents. On Nov. 20, Summa and Engler said city staff did not have score sheets for two of the proposals that had not met the minimum requirements in the request for proposals. Summa and Engler said they did not see the two eliminated proposals. After Summa and Engler said they had scored only five proposals, Walinski said he could not comment on whether two more proposals had, in fact, been ruled out. That information, he said, was confidential. He added that he believed he had made it clear to Summa and Engler that any information about what they did during the scoring session was confidential. Walinski’s remarks implied Summa and Engler had breached confidentiality. Still Summa, a retired documentary filmmaker and local political activist, and Engler, a former state senator, said they had not known the number of proposals was confidential, especially since city staff had released some information about the number of proposals and property owners previously. The debate over the information Summa and Engler shared even seeped over to the Northfield News’ Web site. Jaci Smith, managing editor, responded to Summa’s written note of self-defense, which he posted on LocallyGrownNorthfield.org. “It seemed to me he violated the intent if not the actual rules of the process,” Smith wrote. Walinski has since twice refused to publicly clarify why Summa and Engler scored only five of the proposals and whether Summa and Engler breached confidentiality. Instead, Walinski said he would rather focus on the primary goal, which is to help the City Council make a decision about the liquor store. While discussion about the matter unfolded online, James Gleason, one of the owners of the proposals that didn’t made the cut, came forward to reveal why he believed his family’s idea had been removed from consideration. The property was too far beyond the downtown area that City Council and city staff identified as the prime location for a new liquor store. 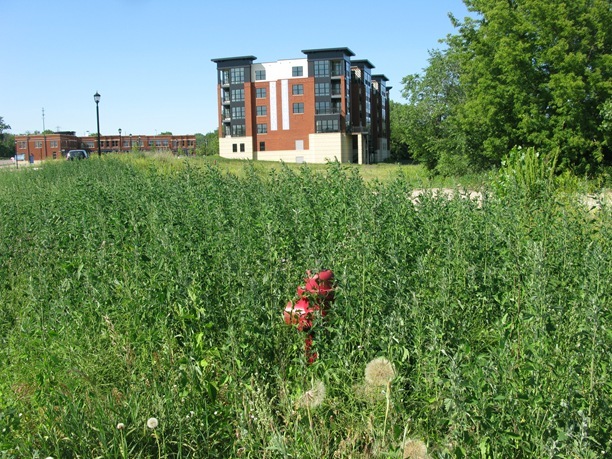 Gleason argued that the council might not have been wise in eliminating his proposal because he offered the valuable commercial land across from the Target store for just $1. The information fueled a side debate between those who agreed with Gleason and those who suspected the motives behind his offer. I began reporting this story after attending an Economic Development Authority meeting during which the issue of the liquor store arose. I was shocked at how quickly suspicion seemed to grow among elected officials, members of city staff and Northfield residents. I talked with people about what I observed. Some told me “Well, that’s just Northfield” or “Well, that’s just city government.” Some people pointed fingers at groups or individuals. Some blamed the infighting the City Council has experienced of late. *Corrections indicated with a strike-through of the mistake and replacement text. What does this latest development in the plan to build a new liquor store say about Northfield as a community? Is there anything we can learn from these discussions? How could what we learn help us in the future? What is the most important question that has emerged from our discussions and have we answered it? The Community Development Director and the City Engineer met with representatives of the MnDOT, MPCA, Mendota Homes, and the City’s legal counsel on the project to review the status of the environmental clean up on the property still owned by MnDOT and the corresponding progress that is starting to occur on the sale of the MnDOT property to the City of Northfield. 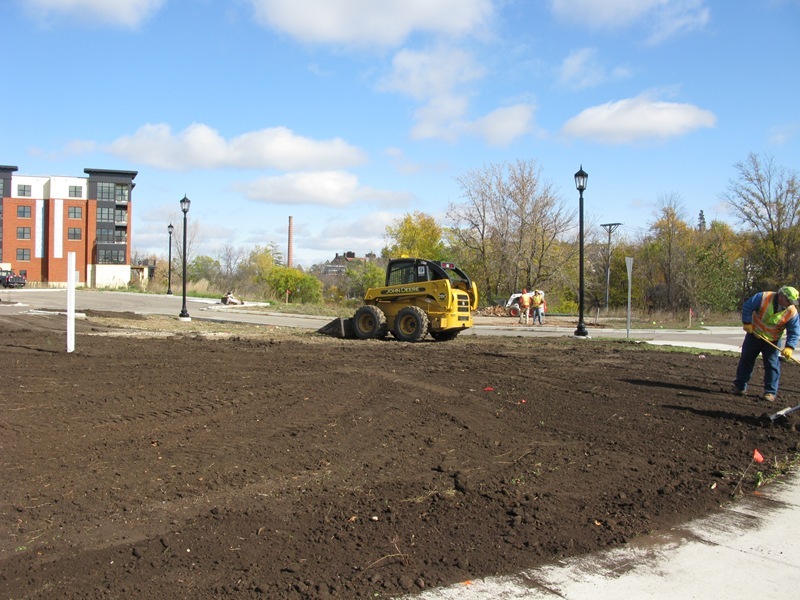 MnDOT will be installing a “soils cap” on the property that MnDOT still owns on The Crossings site. 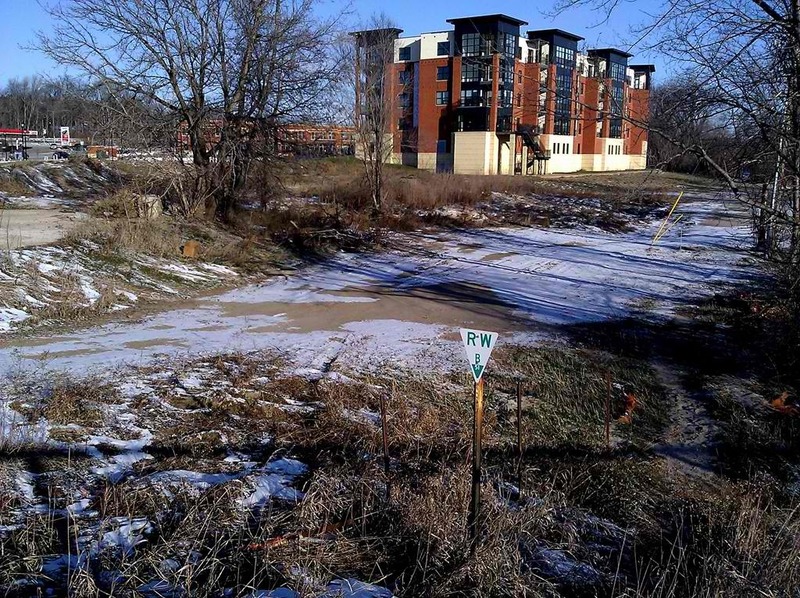 This will result in MnDOT obtaining a No Further Action Letter from the MPCA which also leads to the activity of selling the land to the City. The soils cap will require further mitigation by Mendota Homes once building construction begins. 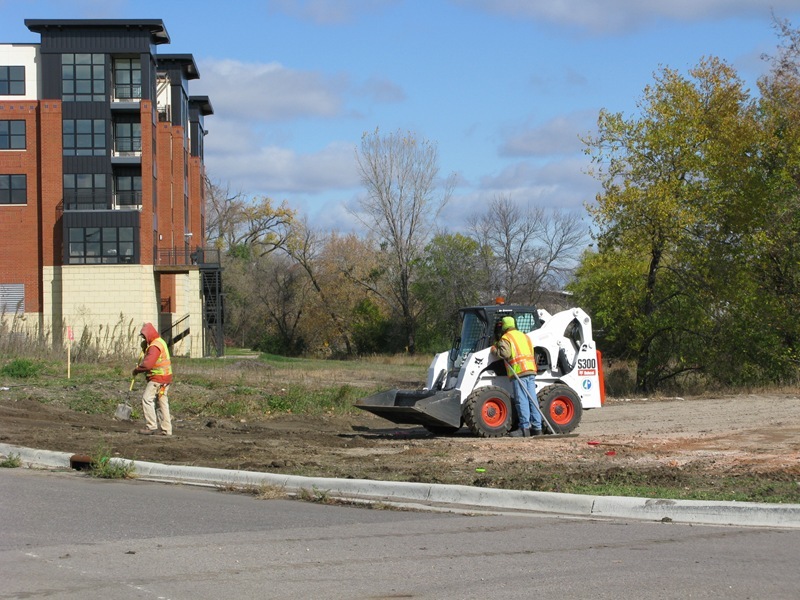 Basically MnDOT is undertaking a minimal effort to resolve the environmental condition on the property they plan to sell and are imposing a deed restriction that will presumably effect the sale price of the property. Brian submitted this report on The Crossing (PDF) to the Council last week. FYI, the Wigley’s and Mendota Homes have settled the lawsuit. And no, I can’t talk about it. Developer John Mathern talks economy from Bonnie Obremski on Vimeo. John Mathern, CEO of Mendota Homes, met with me for about an hour two weeks ago shortly after First National Bank took ownership of one of Mendota’s downtown properties. In the video, Mathern references the The Crossing condominium project. The video is about one minute long. A major corner property on Bridge Square in downtown Northfield will soon be back on the market and at least one developer is already showing some interest in buying. 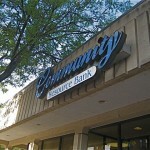 The property at 19 and 25 Bridge Square houses the Community Resource Bank. Mendota Homes Inc. of Little Canada bought it in October 2005 for $1.25 million. John Mathern, president of Mendota Homes, received formal notice dated Sept. 17 that lender First National Bank would foreclose on the property. The property has been appraised at $1.1 million, but a First National Bank representative said it could sell for less than that. 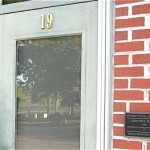 According to a notice published on Saturday in the Northfield News, Mathern owed $1,018,987 at the time of foreclosure. The original amount of the mortgage was $960,000, the notice read. The sale is scheduled for Oct. 21. Mathern had once intended to raze the structures to make way for a mixed-use, four story building. He planned to fill his new Bridge Square buildings with small living units, retail and office space. Victor Summa, a member of the Economic Development Authority, said he was surprised at the news of the foreclosure. At the same time, he had believed the project may have been ambitious. Ross Currier, former planning commissioner and current executive director of the Northfield Downtown Development Corporation said others shared that view as well, but Currier was hopeful a developer would still see the property’s lowered price as an opportunity. “Perhaps at a lower sales price and with a lower-cost development plan, something could move forward quickly,” Currier said. Mathern owns The Crossing condominiums off State Highway 3 and two nearby commercial properties. 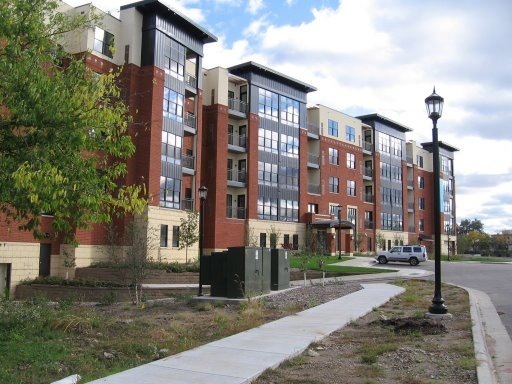 Financial constraints have plagued Mathern throughout the development of the the higher-end condominiums, and businesses have yet to fill much of his commercial property. 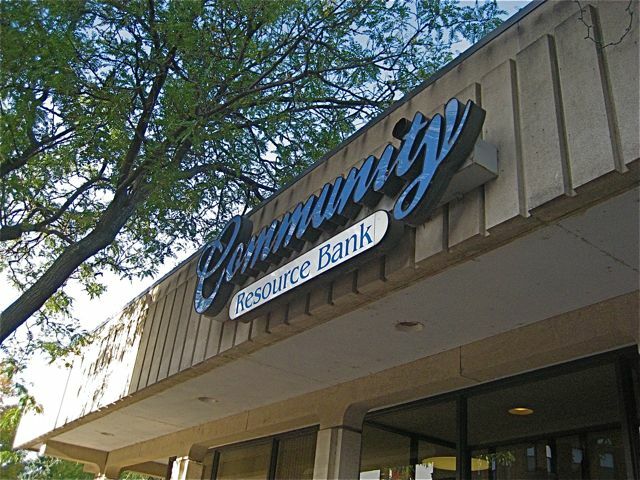 A spokesperson from Community Resource Bank said customers would not notice any change as a result of the building foreclosure. 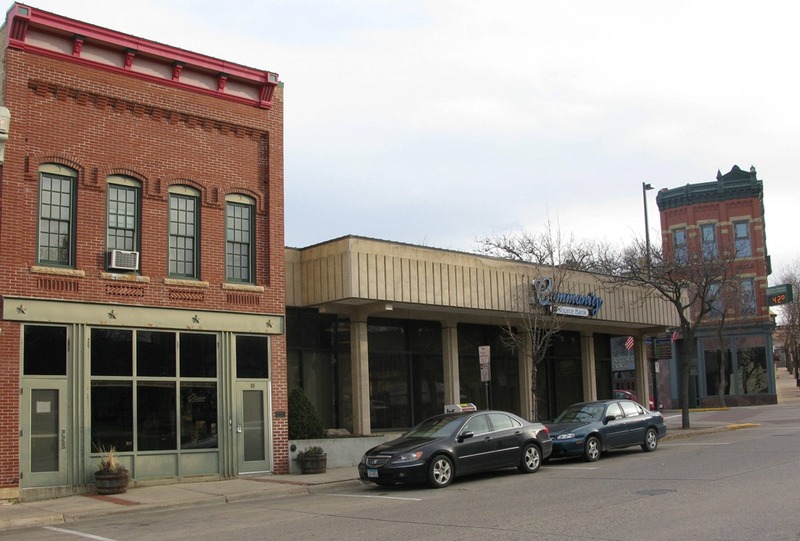 The bank has additional offices in Northfield, Cannon Falls and Roseville. Update 10/7 I spoke with Mr. Mathern since posting this story and I want to be more specific about the information in the second to last paragraph of the story. Mr. Mathern owns a number of properties in the city and he would not divulge every detail about all his present and past investments. However, he does own The Crossing and the adjacent 8 units of commercial space. Businesses occupy four of those units and four units are vacant. Mr. Mathern once owned the “Q-block” commercial buildings across the street, but has since sold that property. Also, Mr. Mathern said his plans to build a structure at the Community Resource Bank site would have attempted to preserve the front, concrete part of the existing building because of its historical value. 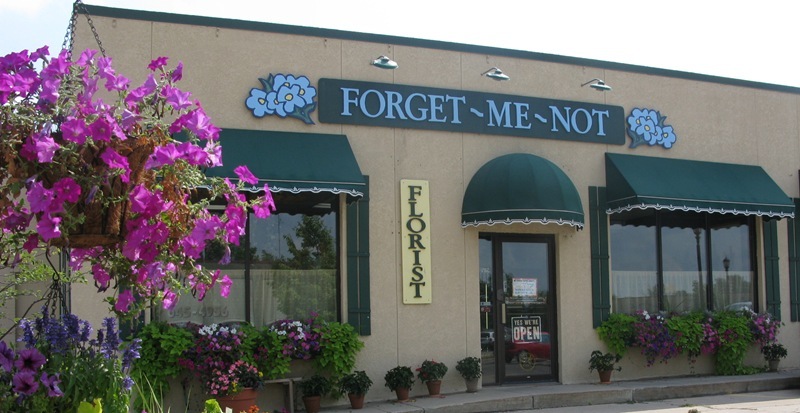 I’d planned to order flowers via their Northfield florists website (for delivery to Robbie’s hotel room in Salt Lake City) but Jane gave me a money-saving tip: browse the site to find what I wanted, then phone them with the order. 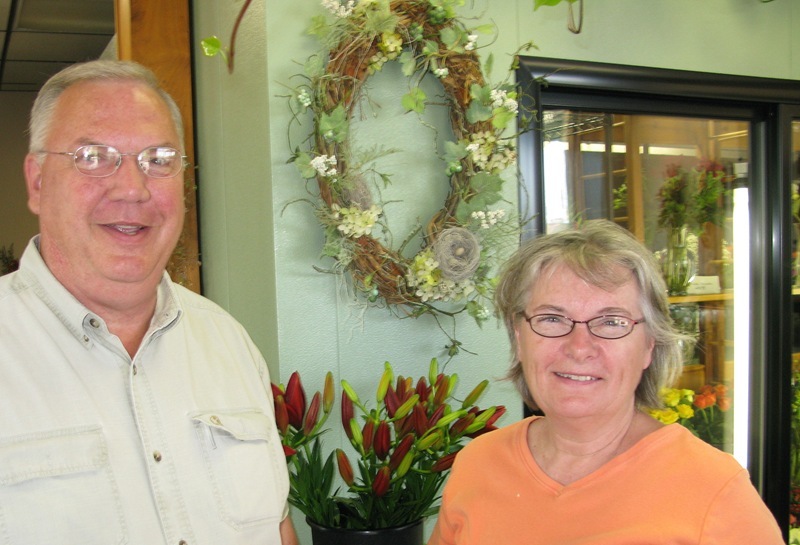 Jane said a large percentage of their flowers have always been supplied by Minnesota growers, part of the Minnesota Grown Program coordinated by the Minnesota Department of Agriculture.